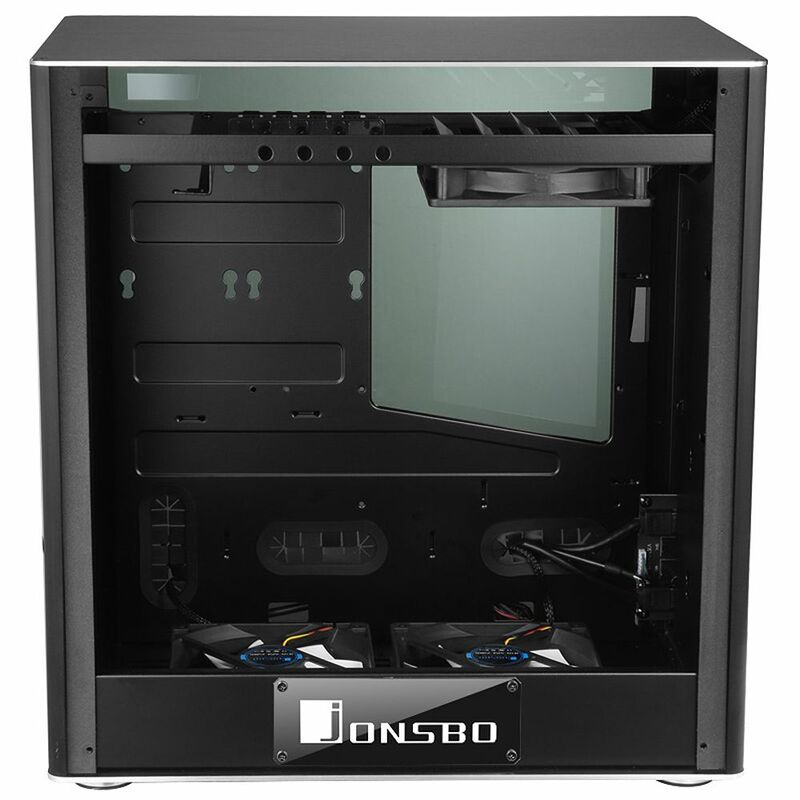 The Jonsbo's VR2 is a fantastic small chassis with a vertically mounted motherboard to allow for long graphics cards to be installed. 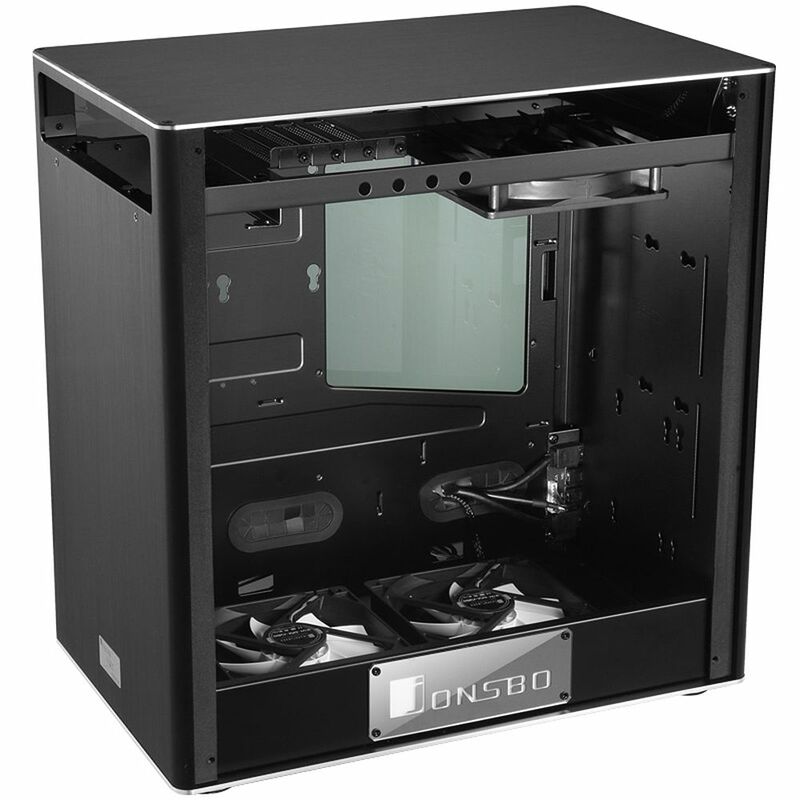 Jonsbo's VR2 is a high quality micro-ATX chassis with a very unique feature. 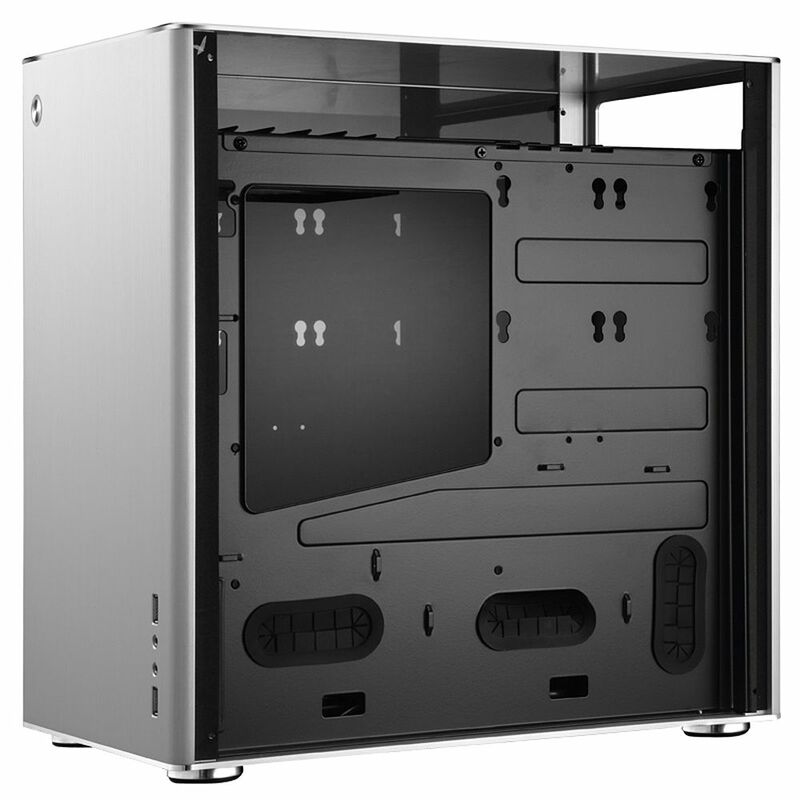 Rather than the motherboard ports being at the rear of the chassis they are at the top which allows for long graphics cards (up to 320mm) to be installed whilst keeping the system extremely compact. As well as being able to accommodate long graphics there is another benefit to this orientation. On a standard chassis the airflow generally goes from front to back, with the cool air being drawn in from the front and the hotter air exhausted out of the back of the chassis. With the VR2 the airflow goes from bottom to top which is a more natural direction for the hotter air to flow. Of course with these benefits comes a negative and that is access to the motherboard and graphics ports. 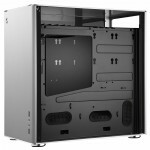 This is a simple process for a standard chassis as all the ports are easily accessible at the rear of the PC. To access the ports on the VR2 one has to remove the top panel which is held on by four screws in each corner, which is something one would not want to do on a regular basis. The help with quickly inserting USB devices the chassis has two USB3.0 ports conveniently positioned at the front of the chassis along with a headphone and mic port. The exterior of the VR2 offers a simple but elegant look, equalled by the interior design. The compact nature helps to ensure that the VR2 can be integrated inconspicuously wherever one chooses to place it. 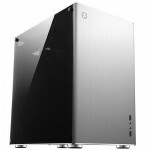 On either side of the chassis are two 5mm thick tempered glass side panels which offer an unobstructed view on the installed hardware. The blue-lit Power-button is embedded in the plain front panel. The VR2 combines a steel chassis for maximum stability and the exterior is 1mm thick aluminium cementing its elegant look. 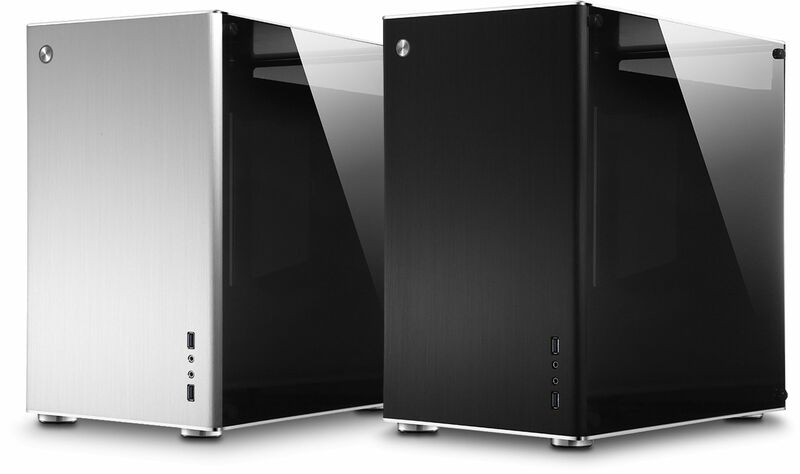 Every aspect of the VR2 is manufactured from high grade material and being a M-ATX it can be equipped with motherboards up to 245 x 245mm. After the removal of the side panels the installation of the hardware is a breeze. An ATX power supplies can be used inside the VR2 case, with a maximal length of 250mm. Up to four 2.5" and one 3.5" HDD/SSDs can be installed and they are mounted using rubber suspension in order to guarantee little vibrational noise is transmitted to the chassis. The intelligent interior design allows the installation of CPU coolers with a height of up to 190mm and VGA cards of up to 300 mm in length. 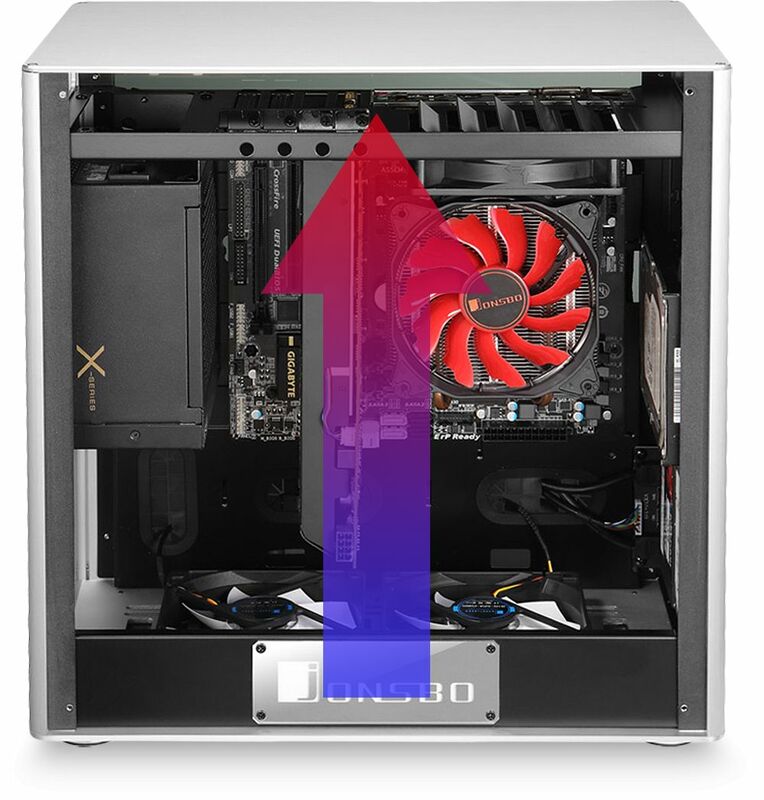 If the pre-installed 120mm fans at the bottom are removed, the available space will be 320 mm. 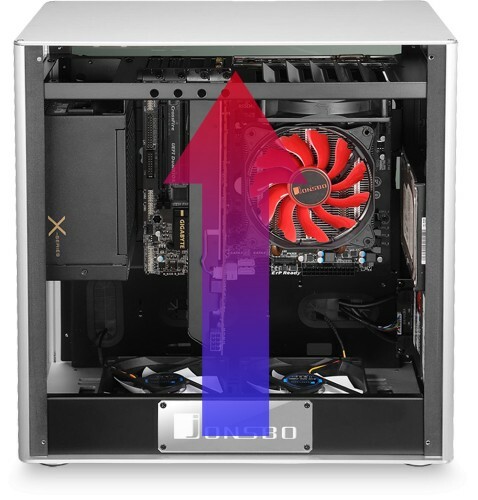 Optionally 140mm fans can also be installed at the mounting points under the cover or on the bottom. As standard the case is supplied with three 120mm fans, two on the bottom and one under the top cover.